This was floating around Facebook. I would be HAPPY to acknowledge the author if you know who it is. 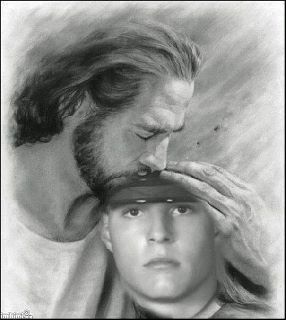 As I shared in my 2011 Memorial Day post my friend Jen's son, David "Nick" Crombie made the ultimate sacrifice for you and me. 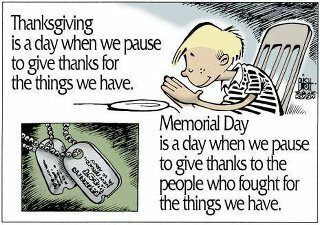 Thank you to everyone past, present, and future for your sacrifices to keep our country what it is. Good job, mom! You did an awesome job.